From Monday, June 27, MasterCard bank cards can be used at ATMs in the Cuban capital. This will later be extended throughout the country. MasterCard bank cards issued by non-U.S. banks, as well as those issued by Stonegate Bank and the Banco Popular de Puerto Rico, as of Monday, June 27, can be used at ATMs in Havana, as announced by Irma Margarita Martínez, first vice president of the Central Bank of Cuba (BCC), during the First International Money Transfers, Payments & Forex Conference, being held in the capital, June 27-29. She added that these operations have been made possible following the resolution of certain financial and legal aspects, a process in which the actions of MasterCard and the Cuban entities responsible for processing these transactions were crucial. Prior to this announcement, cards were tested at certain ATMs in the capital with satisfactory results, demonstrating the possibility of extending this service throughout the country. Irma Martínez added that this new possibility complements the already existing use of cards in shops and banks through point of sale (POS) terminals. She also noted that Cuba is ready to continue expanding this service to cards issued by U.S. banks, should they so request. However, to date, Stonegate Bank is the only U.S. financial institution authorized to issue cards to be used in Cuba. According to statements by Tania Fernández, responsible for operations with the island at the bank, as reported by the Cuban News Agency, some 500 new cards have been issued to customers for use in Cuba. Meanwhile, the first vice president of the BCC clarified that while the use of the dollar in transactions between Cuba and the United States has been permitted since March, to date no such transaction has occurred, given the continued ban on Cuban banks opening correspondent accounts in U.S. banks. The financial persecution of banks in third countries that operate with Cuba has created an unfavorable climate for U.S. financial institutions, which fear becoming victims of the blockade policy and facing millions of dollars in fines should they conduct transactions with the island. 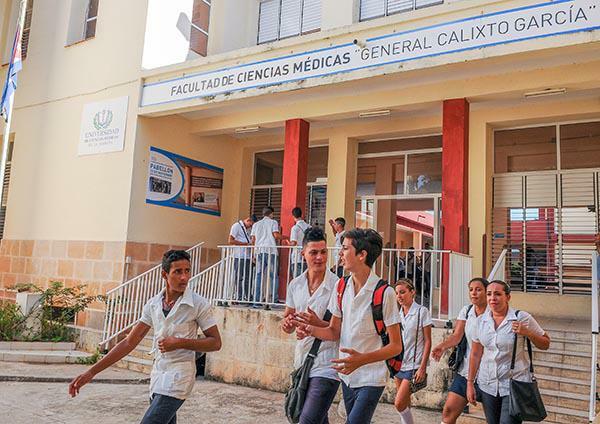 As a historic center for human resources training, today Havana’s Calixto Garcia School of Medical Sciences is a cornerstone of the results achieved by Cuba in the field of public health. The institution of higher education offers technical and university courses in Medicine, Nursing, Dentistry, Health Technology, and Psychology, to professionals working in the various Cuban medical programs both inside and outside the country. The school’s origins date back to January 23, 1896, when the Alfonso XIII Hospital was built close to the Castillo del Príncipe fort. Responding to the demands of university students, in 1943 this was renamed the General Calixto García University Hospital, by presidential decree. To begin with, the school included the departments of Physiology, Physics-Biology and Chemistry-Biology, with the later addition of Forensic Medicine and Toxicology. As a novelty, the subject of Medical Ethics was introduced, absent from the curriculum at private universities. In the 1930s the teaching of obstetrics was also incorporated. Students and teachers openly participated in the revolutionary struggles against the sell-out and semi-colonial governments of the twentieth century, and in January, 1934, Dr. José Elías Borges Carreras, prominent leader of the National Medical Federation, was killed during a strike. Medical students took part in the protests against the dictatorship of Fulgencio Batista beginning March 10, 1952, and provided assistance to wounded revolutionaries. Student Manuel Hernández León became one of the martyrs of the struggle, along with other employees, savagely tortured and then assassinated. With the closure of the University of Havana in December 1956, the medical school also closed its doors, and several of the young people enrolled there set off for the Sierra Maestra, to fight in the ranks of the Rebel Army led by Fidel Castro. With the triumph of the Revolution, new management was appointed at the faculty on February 2, 1959, encouraging the admission of professors sincerely committed to the people. They also provided care in the Calixto García hospital itself, given the mass exodus of professionals abroad, encouraged by U.S. media campaigns. 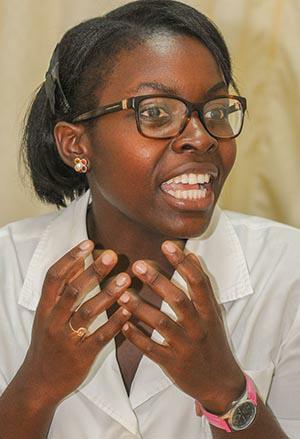 Augusta Vanessa Jose, from Angola, admires the empathy between Cuban health professionals and patients, indicative of the humanist nature of medicine in Cuba. Photo: Jose M. Correa. At the same time, they trained a group of promising students in different subjects to teach the hundreds of young people who entered the university en mass, given the opening up of higher education to all. So explains Sc.D. Olga María Piera Rocillo, who enrolled in 1954 and saw her studies interrupted in 1956 due to the closure of the school, before continuing in 1959. She was asked to assist with teaching classes on Clinical Propaedeutics and Medical Semiotics for second year students, prior to graduating. In courses taken before the triumph of the Revolution, students were forbidden from touching patients, Olga explained, noting that she has met many colleagues who graduated without having witnessed a live birth, visited an operating room, or accompanied other doctors in practice. 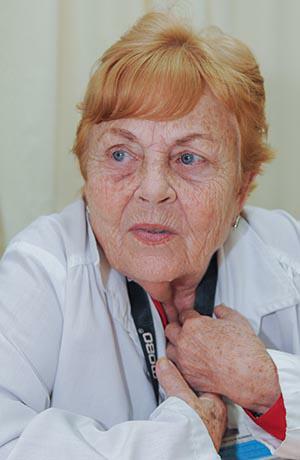 On graduating in 1962, Olga was invited to study the specialty of Anatomic Pathology given the withdrawal of specialists in this branch of medicine, which she grew to love, thanks to the dedicated efforts of a Bulgarian professor, who was providing solidarity in Cuba. She has a range of anecdotes regarding her students to tell. She recalls those who failed to make the grade due to spelling mistakes, the sadness of an Ecuadoran student when his father was ill. Also student Augusto Enriquez, who dared to sing on the same stage as the Argentine troubadour Mercedes Sosa and today devotes himself to music. The professor advises her students to base their diagnosis on the accuracy of the clinical examination; to learn to listen to the patient; to distinguish the visible pathological changes in the body; relate prior conditions to the current state and order laboratory and radiological tests when needed. “It is usual in contemporary medical practice to rely only on the complementary tests,” the experienced doctor explains. Faculty Dean Mabel Aguiar Gorguis, a second degree specialist in Comprehensive General Medicine, agrees with her colleague. She notes that a peculiarity of the Cuban school is the integration of theory and practice, as from the first year of study students undertake rotations at different health care levels, learning through practice. The faculty has several teaching locations in three municipalities of the province of Havana for these rotations: Habana del Este, Central Havana and Old Havana. Specifically, the facilities of the Calixto García University Hospital for the teaching of clinical and surgical sciences, the Central Havana Pediatric Hospital for child and maternity care, and the América Arias Maternity Hospital for gynecology and obstetrics. Specialized centers and tertiary institutes are also used for postgraduate education. Throughout the country, there is a teaching department in each Municipal Health Administration closely linked with the school and responsible for arranging student medical practice in each area. These same steps are followed by students from other countries enrolled at the school, who either self-finance their studies or have scholarships funded via exchange agreements signed between their governments and Cuba. Students from a total of 28 nations study alongside Cubans. Another group undertakes short courses, internships, residencies in different medical specialties, masters and doctorates. The medical degrees offered by the faculty have been accredited and certified as “Course of Excellence” on three occasions, fuelling the enrolment of approximately 4,000 international students in each academic year. Another important area is the research conducted within the curriculum, responding to strategic lines of inquiry carried out by groups of professors, which is continued in postgraduate courses, masters and doctorates. This knowledge is shared in different scientific conferences convened by the faculty staff. This is corroborated by medical student Alberto Alonso Mompié, who notes that his degree course demands a great deal of personal effort and dedication. However, he combines his studies with extra-curricular activities, cultural events and sports. Pop quiz: Whose cocaine is grown, whose economic policies are running, who pays and equips the armies in, and whose bombs are falling in the countries producing the most of the world’s refugees? DHARNA NOOR, TRNN: Welcome to the Real News Network. Im Dharna Noor coming to you from Baltimore. Today, on World Refugee Day, the UN Refugee Agency issued a new report which shows that global displacement is at an all-time high. 2015 saw 65.3 million people displaced. This is the first time in history that this number has been over 60 million. Glen Ford is joining us from Plainfield, New Jersey, to talk about this. Hes the co-founder and executive editor of the Black Agenda Report, and the author of The Big Lie: Analysis of the U.S. Media Coverage of the Grenada Invasion. Thanks for joining us, Glen. GLEN FORD: Well, thank you for the opportunity. NOOR: So, Glen, these numbers are just staggering. This report shows that around 24 people around the world were displaced every minute in 2015. Can I just get your initial reactions? FORD Well, what really is staggering is the culpability of one country in the world for this huge mass of suffering around the planet. If you create a kind of top 10 of the worst refugee crises afflicting the world, you’ll find that all but one or maybe arguably two of these refugee crises are direct results of U.S. foreign policy. So we can go down the list, and I think that we can see what ails U.S. foreign policy in, through the list of countries that are afflicted with refugee crises. The number one country on that top 10 list is, of course, Syria. And we all know that the United States and its allies have armed and financed those folks who are, who have been waging war against the government of Syria for the last five years or so. A quarter million people have died in that war, and about 11 million people are some kind of refugee, according to the United Nations. If we go down to number two on the list, thats on another continent, Colombia in South America. Its notable because its the biggest exporter of cocaine on the planet. But it is also the place where we have the largest number of internal refugees in the world. That is, refugees who dont move across their nations borders, but have been forced out of their homes nonetheless. And that is due to U.S. foreign policy in Colombia, which backs a government which has created policies that have forced millions of indigenous Colombians and Afro-Colombians off of their land. Iraq is number three, and of course, that is a situation in which the united States is complicit. Iraq, for a time, had the highest number of internal refugees in the world, surpassing Colombia. Many of them have since left the country. So Iraq is number three overall in worldwide refugees. Number four is Afghanistan, where the United States has waged a kind of 21st century type of war, but one that began around 1980, when the U.S. and the Saudi Arabians and the Pakistanis created for the first time, never witnessed on the face of the earth, an international jihadist network in order to wage war against the Soviets. Well, these jihadist networks have been waging war ever since, with varying degrees of aid from the United States and the Saudis and the Pakistanis, and thus generating millions of refugees all around the world. The only nation in the top 10 in which the United States is not arguably complicit is the nation of Sudan, which is number five, and it has 4 million refugees. But even Sudan bears the mark of U.S. interference, because the United States and Israel have been seeking to undermine the Sudanese government for about the last 30 years, and that has contributed to the instability that creates refugees. And that drive by the United States, especially against the Sudanese government, created the new country of South Sudan, which gained its independence with massive help from the Americans and their allies. Now, South Sudan is number seven in the list of countries that contribute to refugees in the world. Its civil war has generated millions, about 2.5 million refugees. We also have Yemen, a war in which the United States backs the Saudis, who are waging a fight against a Houthi and other faction government that has put Yemen in position number, I believe, nine in the world in terms of refugees. One out of every ten people in Yemen is a refugee. I think a very special case, and Ill leave it at this one, can be made for the Democratic Republic of Congo. The DRC is one of the top 10 in refugees. Its got about 3 million people who have been displaced from their homes. But this really understates the case, and it understates U.S. involvement, because twice as many people in the Congo are now dead, 6 million of them, because of invasions of the Congo carried out by U.S. allies Rwanda and Uganda. The United States not only backed those countries and their invasions, but tried to cover up the consequences, the resulting genocide. And so Congo is number one in terms of genocide since the end of World War II, as well as way up there in the number of refugees. If we look at the world in its totality, we get the distinct impression that much of the misery that people who have lost their homes and even their countries are suffering is because of the United States. We see what the world looks like when there is one superpower in charge. NOOR So, going back to the top of the list, in Syria specifically its like half of the Syrian population thats been displaced from their homes. In light of that, can you speak about the letter that 51 diplomats wrote last week, this open letter calling for Obama to overthrow Bashar al-Assad? FORD They want to double down on the worst refugee crisis in the world, and on a quarter million deaths. They seem to believe that the U.S. policy of destabilization, which has led directly to this crisis, needs to be toned up, or tuned up. That we need more bombs, not less, in order to solve the problem. And we need to stack more bodies in the pile and drive more families out into a world that they have been forced to confront without a country. NOOR And what about the internal struggles within these countries? You know, people often bring up the fact that, you know, what about the fact that Bashar al-Assad is issuing more strikes against the people of Syria himself? FORD Well, that is an internal problem of Syria. But the United States as a country that is clearly violating international law, and doing so every day, and threatening to carry out acts that are even more illegal, is in no position to criticize the way the Assad government defends itself against the troops that the United States has arrayed against it. I dont even understand how that kind of logic makes any sense to folks, unless they believe that the U.S. can do no harm and no wrong in the world, despite the illegality of its policies, and despite the human suffering that they cause. NOOR Right. And can we talk about whos hosting these refugees? The report shows that its mostly mid-income nation-states near conflict areas that are taking them in, even though the mainstream media has been so focused on this European refugee crisis. And then also, the U.S. has promised to take in 10,000 this year, but its not actually looking like that promise will be met. FORD Well, Turkeys taking in the largest number. Theyre being paid by the Europeans to hold the Syrians there, to keep them from crossing over into European territory. But Turkey is not doing the world a humanitarian service by taking in these refugees, given that Turkey bears the responsibility, along with the United States and the Saudis and the Gulf countries, and of course Britain and France, the whole gang for this war that created the refugees. Turkey is sowing the seeds that it has planted in Syria, in the form of refugees. NOOR And how should the U.S. be facing this crisis? What kind of foreign policy would be correct in addressing this huge refugee crisis? FORD Call off the war. The war is the cause of the refugee crisis. The war was started by the United States and its allies. We know when it began. We know when the Libyan jihadists who had been fighting in collaboration with the United States in their own country in 2011, we know when they began arriving in Syria. Its all a matter of public record. The United States is obligated to unwind the crime that its committed. NOOR Right. Thank you so much for joining us to talk about this, Glen, and well certainly be continuing to follow the unraveling of this UN report. NOOR And thank you for joining us on the Real News Network. The dialogue process led by the Venezuelan government with all sectors of the country, including the Venezuelan opposition, to overcome the current national economic situation is a scenario supported by 74% of Venezuelans, according to a survey conducted by polling firm Hinterlaces on 7-15 June, through 1,500 interviews nationwide. On several occasions, the Bolivarian Government has reaffirmed their wish to establish dialogue with all sectors in order to build common proposals for the development and social progress of the country, including the contributions of sectors opposed to the Bolivarian Revolution. In this regard, President Nicolas Maduro is pushing for a dialogue process involving ex-presidents Jose Luis Rodriguez Zapatero of Spain, Leonel Fernandez of the Dominican Republic and Martin Torrijos of Panama, as international mediators of the Union of South American Nations (UNASUR). The poll, released Sunday by journalist Jose Vicente Rangel in his Sunday analysis TV show, also reveals that 82% are in favor of having international mediation to promote dialogue, efforts currently being made by Rodriguez Zapatero, Fernandez and Torrijos. When assessing the Organization of American States (OAS), whose secretary general, Luis Almagro, encourages the non-binding application of the Democratic Charter against Venezuela, 60% of respondents expressed negative views about it. In contrast, 89% agree with the possibility that Pope Francis mediate between government and opposition. Similarly, 67% of Venezuelans reject the possibility of an international intervention against Venezuela to oust Maduro, constitutionally elected, as right-wing sectors are promoting. In addition, 84% of respondents rejected the proposal to encourage military intervention against the country, promoted by key players of the international extreme right as former Colombian president Alvaro Uribe. Official reports say Dilma Rousseff is innocent of wrongdoing, but the impeachment process will continue. A report prepared by analysts in the Brazilian Senate said Monday there is no evidence that suspended president Dilma Rousseff participated in fiscal wrongdoing, one of the causes that led to the opening of the impeachment process against her. The Senate Impeachment Commission has 72 hours to analyze this report, and starting from July 5 they can interview the analysts. The vote to determine whether the impeachment will be confirmed is scheduled to be held on August 9.
teleSUR’s correspondent in Brazil, Ignacio Lemus, said the report indicates that Rousseff did not directly participate in a scheme to manipulate the budget. According to Lemus, the analysts found that no direct actions were taken by Rousseff to delay payments to public banks by the Brazilian National Treasury. The report states there are no reasons to continue the impeachment process because Rousseff had no direct participation, and according to the constitution the individual accused must bear direct responsibility. Jiménez noted that 52 years after the beginning of the conflict, the FARC had reached agreement with the Colombian government, which “leaves us at the threshold” of a final accord, allowing for a return to legal, democratic political life. He said that the FARC-EP will be involved in the country’s political life, using peaceful, legal means, with the same rights afforded all political, noting that the Colombian government must ensure that citizens are not persecuted for their political positions. Shaquille O’Neal’s visit to the island, as a U.S. Department of State Sports Envoy, marks another step in the normalization of relations between Cuba and the United States. O’Neal enjoyed playing over two hours with dozens of children in Havana. Photo: Ismael Batista. Early on Sunday, June 26, Wagner Rodríguez was impatiently pacing around his home. A slight boy, aged 13, his passion is basketball, and it was difficult to control his emotions hours before meeting the great Shaquille O’Neal, one of the most successful NBA players of the past 25 years. “I was desperate to see Shaq, I have many videos of him, but I hadn’t met him personally, and he is huge, a giant,” explained Wagner, one of the children participating in the basketball clinic offered in Havana’s Vedado neighborhood by the former NBA player. Wagner was one of the best players during the exchange which took place on the popular basketball court on Havana’s 22rd and B streets. “Interacting with one of the best of the NBA is super positive for us. Last year we learned from Steve Nash and Dikembe Mutombo, and now we are very motivated because Shaq is sharing his knowledge and experience with us,” added the skilful young player, who dreams of being a basketball star. With his friendly and playful character, O’Neal, a giant at 2.16 meters tall and weighing over 300 pounds, appeared as if another child on the court, during practice exercises with Kaleb Canales, assistant coach of the Dallas Mavericks, also forming part of the U.S. delegation. “I’m very happy to be here, I could feel the love of all the Cubans, their passion for basketball. I’m thankful for the welcome, hospitality and for giving me the opportunity to offer my experience. I hope that in the future some of these guys can triumph in the NBA,” noted Shaquille, Olympic champion in Atlanta 1996 and 15-time NBA all-star. Watched over by dozens of television networks and news agencies, Shaq appeared to enjoy making shots and serving as referee in the games with youngsters of both sexes, celebrating each time a basket was scored and offering advice on postures and timing. For two hours, the action was non-stop, and all were grateful for the opportunity, with none missing out on the chance to take a photo or get an autograph from the basketball star. “This provides great motivation for everyone in Cuban basketball, from children to those who play in the national team,” stated Leonardo Pérez, one of the island’s top players. “The relations between Cuba and the United States have given rise to these clinics, which have a great impact on the grassroots, the space where children begin to excel. I consider this exchange very beneficial, especially as they have come to see the youngest players, as from here the stars emerge,” Leonardo added, noting his happiness on meeting a world-class athlete. O’Neal is not the first NBA star to visit Cuba. In April, 2015, a goodwill delegation composed of Canadian Steve Nash, two-times NBA Most Valuable Player, Congolese NBA player Dikembe Mutombo, international ambassador of the League, and Portugal’s Ticha Penicheiro, of the Women’s National Basketball Association (WNBA), offered clinics and exchanged with Cuban players and trainers.